Place a drop of the methylene blue stain on the microscope slide. (This will stain your clothes, so be careful!) Gently scrape the inside of your cheek with the flat side of the toothpick. Place the toothpick in the stain so some of your cheek cells will come off. Place a coverslip on your slide and put it under the microscope. Start out by looking at the slide under the lowest magnification (40x). The cells probably will not be completely purple, so if you are only seeing all purple through the microscope eyepiece, move the slide a bit to a different location. 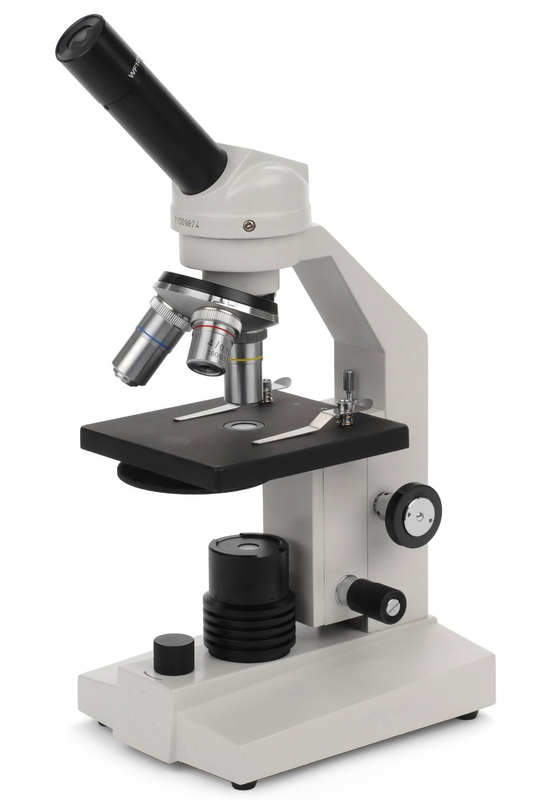 Make sure you get the microscope in focus by using both the coarse and fine focus knobs. Once you get some cells into view, move the magnification up to 100x. Can you identify the nucleus, cytoplasm and cell membrane of your cheek cell? Draw the images you see under the microscope and label the parts. The methylene blue was required in order to help distinguish the cells from the similar color background they were on. Another way to do this without staining is by using a microscope with phase contrast. Is your cheek cell a eukaryote or a prokaryote?